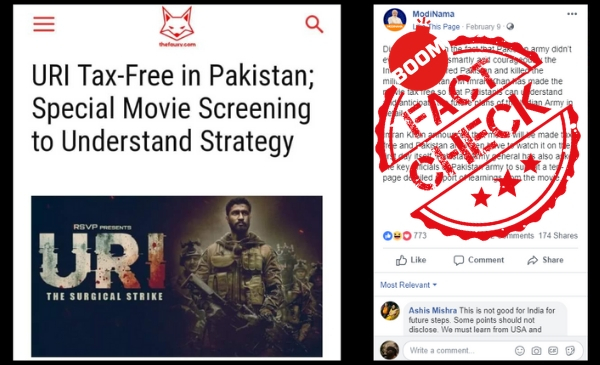 A satirical piece on Hindi film Uri being declared tax free in Pakistan has gone viral on a few Facebook pages. The posts are being shared as an authentic news report, without mentioning that thefauxy.com, the source of the article, is a satire website. 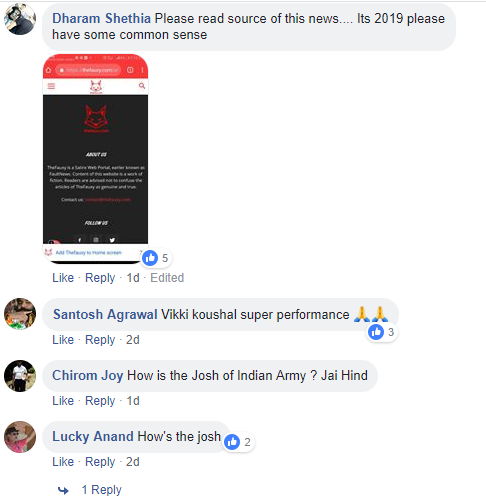 A screenshot of the article was shared by Facebook page ModiNama. The post which used text from the original article did not specify whether it was satire or not. The archived version of the post can be accessed here. While one reader pointed out that the article was satire others did not pick up on the fact that it was fake. Going a step further, a Hindi website TrueBlitz even wrote an article based on this satirical piece by fauxy.com. TrueBlitz claims to be a news portal that brings to readers national and international news related to politics, business, and also analyses fake news. The article can be read here and its archived version can be accessed here. 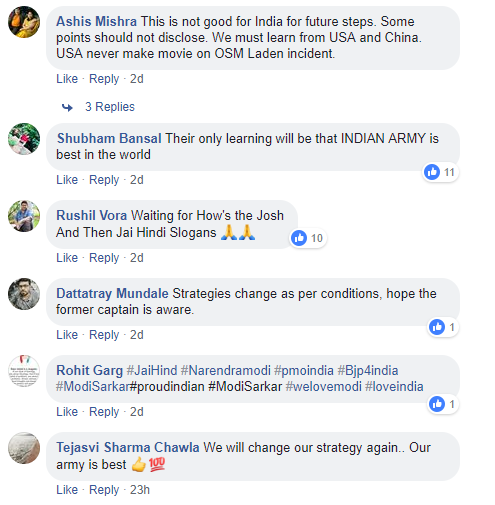 “Disappointed with the fact that Pakistan army didn’t even realise how smartly and courageously the Indian Army entered Pakistan and killed the militants, Imran Khan has made the movie tax free so that Pakistanis can understand and anticipate the future plans of the Indian Army in detail.